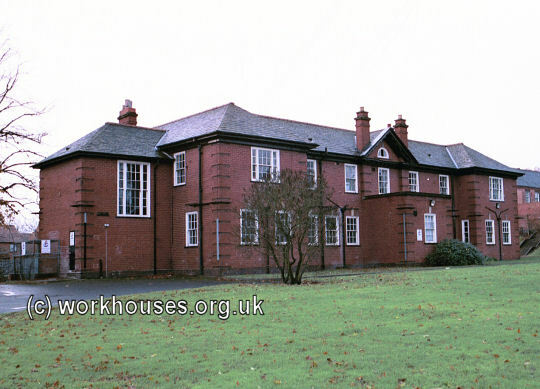 A parish workhouse existed from the early eighteenth century in Erdington. It stood opposite the village green, on a site later occupied by the Free Library. A parliamentary report of 1777 recorded parish workhouses in operation at Aston (for up to 90 inmates) and Sutton Coldfield (up to 45 inmates). Warwickshire: Aston (18), Curdworth, Minworth, Sutton Coldfield (4), Whishaw. Later Additions (all from 1894): Aston Manor, Castle Bromwich, Erdington, Water Orton. The population falling within the union at the 1831 census had been 36,635 with parishes ranging in size from Whishaw (population 216) to Aston itself (32,118). The average annual poor-rate expenditure for the period 1834-36 had been £8,813 or 4s.10d. per head of the population. 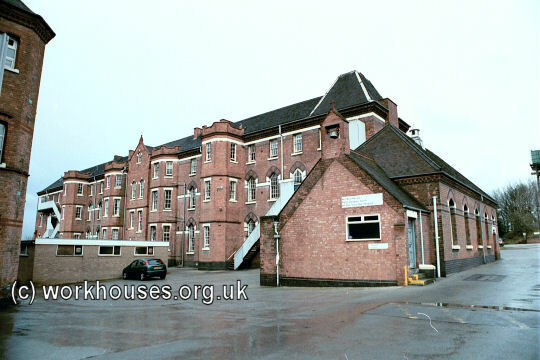 Initially, the new Aston union took over the existing Erdington parish workhouse. In 1842, the Commissioners investigating the employment and conditions of children in mines and manufactories, discovered that workhouse boys, some as young as eight, were being sent on "apprenticeships" of up to twelve years working in coal mines. As a result, some unions in the coal-mining districts of South Staffordshire and adjacent areas were asked to provide detailed information on the children who had been apprenticed in the mining industry in recent years. The return for the Aston covering the years 1839-42 is included below. The last two entries relate to apprenticeships in iron-stone mines rather than coal mines. A boy hauling a coal wagon, c.1842. The Aston Guardians were at pains to point out the care they employed when placing children for apprenticeship: no premium was ever given; a trial period was given so that a boy could ascertain whether he approved of the master and trade; if the boy was then quite satisfied, the master was required to produce a certificate as to his character and respectability from the churchwardens and overseers of his parish, and from the minister stating that he attends the place of worship; inquiry was also made as to the treatment the boy has received during his probation, and whether he has been sent to a Sunday-school. Masters were also required to give an apprentice a new suit of clothes one month before the end of their apprenticeship term, to ensure that the apprentice was taught to read and write, and to attend public worship on Sundays. 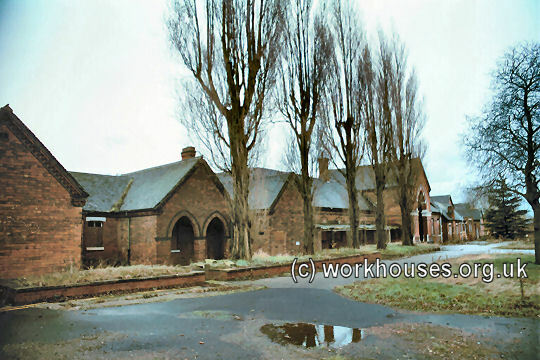 In 1866, work began on a new union workhouse at a site to the west of Erdington. The new building, which opened in 1869, was designed by Mr. Yeoville Thomason who was also responsible for Birmingham's Council House, the Museum and Art Gallery, and the Jaffray Hospital. Birmingham. The chief stone of the new workhouse for the Aston Union has been laid. The entrance building, with a frontage of 300 ft., has a bold archway in the centre; to the left (or male side) of which is a corridor leading to the clerks' offices, waiting room, and a board room, 34 ft. by 18 ft.; and beyond are the rooms for the male probationers and tramps, with all the requisite closets and lavatories. There are spacious airing-grounds in the rear, leading to the engine-house and such other places as will give useful occupation to the able-bodied men. On the right of the entrance archway are the wards and dormitories for the females of various classes, clothes-stores, dining rooms, and other conveniences. In the rear of these entrance buildings are large airing-grounds, divided by a central avenue leading to the main building, of three stories in height, the centre carried somewhat higher than the other portions. The principal material used in the elevations is red brick, with blue brick strings, and stone dressings introduced where appropriate. On each side of the entrance are the rooms for the master and matron, communicating with a large central hall, and corridors extending the whole length of the building. These corridors lead to the day-rooms and dormitories, for able, aged, infirm, and imbecile men and women, with store-rooms, lavatories &c. There are two staircases of stone in each division of the building, and in the central hall a grand staircase in three divisions, lighted by a lantern tower, which forms the principal feature in the elevation. In the rear of this are the various domestic offices, including a spacious cooking kitchen and bakery, and connected with the different wards are airing-grounds for the respective classes. On the male side there are workshops and a mill; on the female side, a wash-house, laundry and other appliances. The first floor has a large dining-hall approached by the central staircase,— length 68 ft. width 38 ft.; and well lighted on each side. The front centre is, as below, appropriated to the master and matron, and on either side are the dormitories for the men and women, of different classes, with a corridor the entire length of the building, as described on the ground floor. On the second floor there is the same general arrangement of corridor and staircases, and a like division of the sexes on either side of the centre buildings; and on this floor some provision has been made for the future, as there are several spare dormitories. A small portion of the basement has been set apart for cellars, larder, boiler-room, and such other accommodation as could be properly provided underground; but otherwise the building is well above the ground level, and it stands in an elevated position. In the fitting up of lifts, cooking and warming apparatus,&c., every well-proved invention of the best engineers will be used, under the direction of Mr. Yeoville Thomason, the architect. The infirmary will be a separate block of buildings. The builders of the whole are Messrs. Jeffery and Pritchard. The estimated cost of the workhouse and infirmary is about 35,000l. 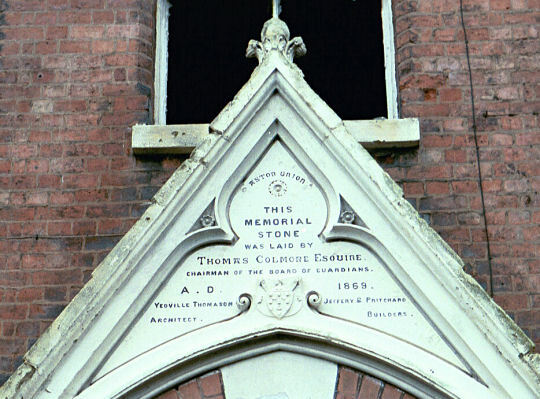 The memorial stone was laid above the entrance to the main building by Thomas Colmore, Chairman of the Aston Board of Guardians. 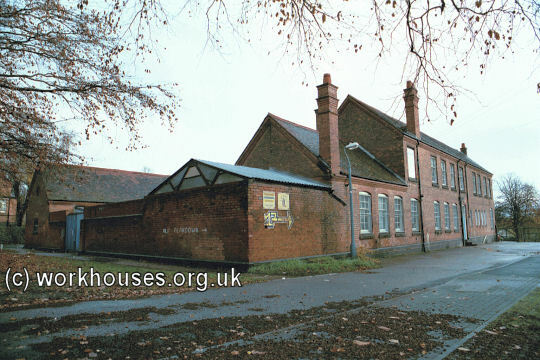 A single-storey entrance block ran along the west side of Union (now Highcroft) Road, with a large T-shaped accommodation block behind and a number of other blocks to the north and south. An infirmary was constructed to the west with a chapel and service buildings to the north of the site. The site layout can be seen on the 1902 map below. 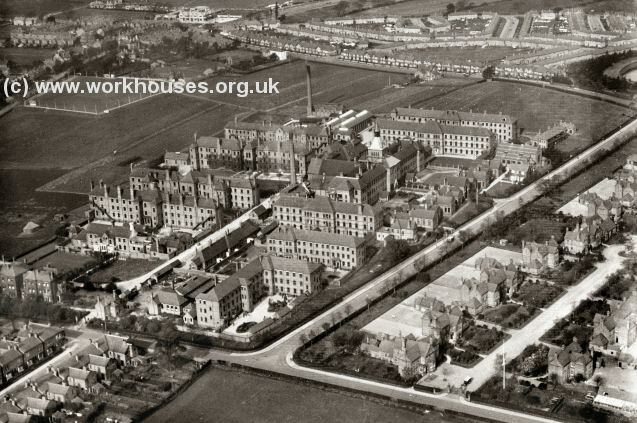 Aston workhouse aerial view from the south-east, c.1920s. Aston entrance from east, 2000. Aston main block from north-east, 2000. Aston main block from north-west, 2000. 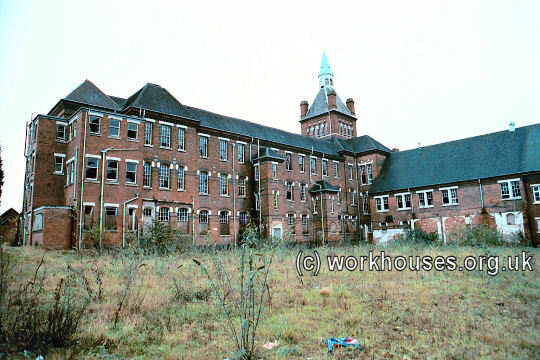 Aston chapel and infirmary from south-east, 2000. In 1897, new tramp wards were erected in order to allow vagrants to be detained for two nights. A two-storey building for ten aged married couples, five on each floor, was also provided. Aston casuals and receiving block from north-west, 2000. From 1904, to protect them from disadvantage in later life, the birth certificates for those born in the workhouse infirmary gave its address just as 18 Highcroft Road, Erdington. 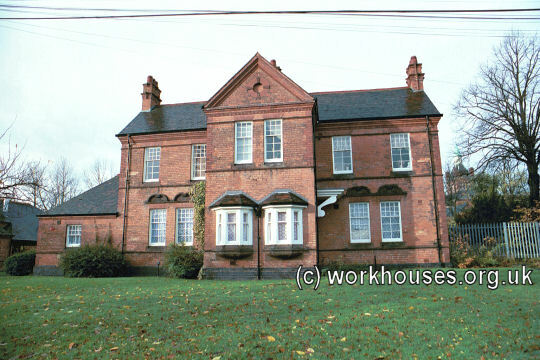 The workhouse itself used the address 1 Union Road, Erdington. Following a boundary reorganization in 1911, most of the Aston Union's parishes, together with those of King's Norton, became part of Birmingham Union. 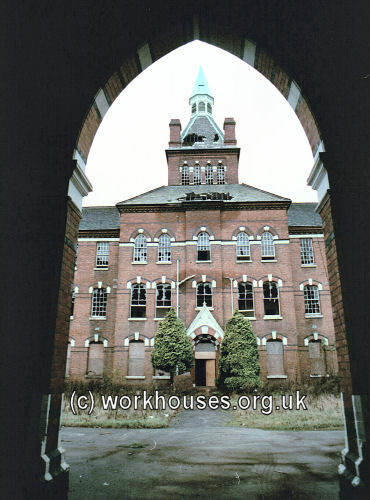 The workhouse buildings later became Highcroft hospital which provided psychiatric care. 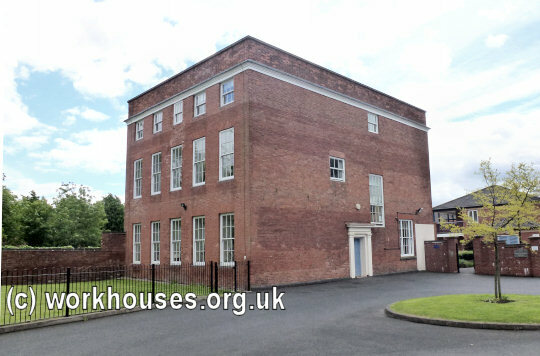 The surviving workhouse buildings have now been converted to residential use. 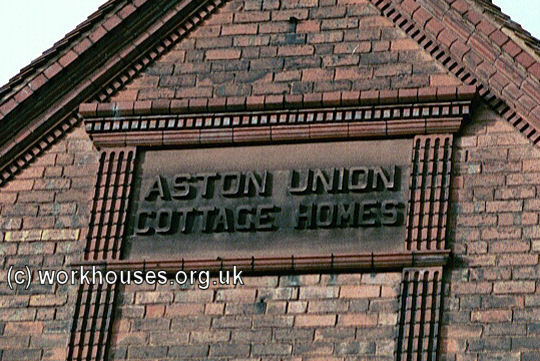 To the east of the workhouse, on the opposite side of Union Road, the Aston Union Cottage Homes were erected in 1898-9. Cottage Homes were intended to provide more amenable accommodation for groups or "families" of pauper children in "villages" of purpose-built houses. They were introduced in the late 1860s and modelled on similar schemes in France, Germany and Switzerland. The Aston Cottage Homes were designed by Franklin, Cross and Nicholls at a total cost of around £61,000. The foundation stone was laid by James Evans, Chairman of the Guardians on 26th July 1896. Their layout is shown on the 1902 map above. Aston Cottage Homes aerial view from the south-east. The Aston Union can now boast possession of its cottage homes. The new homes are situated on a plot of land about 450 yards long by 300 wide (purchased as a cost of £11,250) on the east side of the Aston Workhouse, at Gravelly Hill, and between that building and the railway. In itself the site is a good one, standing high, and overlooking a picturesque country ; and the only objection to be raised to its selection is its close proximity to the very institution it is hoped the children will avoid — namely, the workhouse. From that, however, the cottage homes are in every way quite distinct, and will be conducted on entirely different lines. Certain advantages will, it is said, be secured on the score of management from the two institutions being near to one another; and by proper care and the rigid enforcement of rules it is hoped that the results achieved will be as satisfactory as if the homes were, as in the case of Birmingham, separated by a distance of several miles from the poor-house itself. The homes are sixteen in number, and provide accommodation for 248 children. In each block, five of the buildings provide two "homes," while the remaining six are detached. Eight of the "homes" are now occupied by 120 children, and each, is under the direction of a foster-mother. When the remaining cottages, now nearing completion, are brought into use, the boys will be accommodated in eight homes on the east side, each of which will be under the control of two foster-parents. The one predominating idea throughout will be to conduct the institution on homelike principles. The children will be clothed as other children — there will be no distinctive badge giving to them — the so much dreaded taint of pauperism — and they will be schooled up to the usual elementary standard at Erdington. This is quite in contradistinction to other similar homes, and while the absence of an attached school may be considered a drawback, as materially reducing the time of the child available for tuition in other pursuits, it is thought that the present arrangement will carry with it certain social advantages, and will lie the means of breaking down what is known as class prejudice. No effort is spared to make the children comfortable when at home. The dietary is substantial and sufficiently varied, and the system of making a specific allowance to each inmate, as in the workhouse, no longer obtains. Of course, the quantity of food required is regulated by the number of children, but as they dine together at a common table, waste of food is reduced to a minimum. In the evening the children assemble in the day or sitting room, and engage in recreative pastime. The boys, as well as the girls, are taught knitting, and all are required to make themselves useful in the house. As they grow older, the girls are taught sewing, dressmaking, cooking, and other domestic work; and the boys are passed through the workshops, equipped thus with an elementary knowledge of the trades they fancy — carpentering, shoemaking, and tailoring. Others are instructed in gardening in the grounds surrounding the institution. To each "home" is attached a playground; there is a general recreation field for cricket and football, and a finely-equipped swimming-bath, 50ft. long by 18ft. wide, is also provided. The entire cost of the scheme will be considerably over £60,000, the estimate of the building itself being £43,500. To this amount has also to be added £6,500 for furnishing. From the entrance gates at Fentham-road the buildings, which are of tasteful design, present a very imposing appearance. They are erected of brick — the walls being of 14in. diameter — with compressed brick quoins, and relief is given by moulded cornices and gables. The kitchens are well-appointed and lofty, and are 20ft. long by 16ft., and the sitting-rooms are almost as spacious. To each, entrance is obtained from a large hall, 12ft. in width. Overhead are the foster parents' rooms and the dormitories — plain in design, but thoroughly comfortable — each of which are capable of holding eight beds. There is bath and cloak room accommodation, and at toilet each child is provided with a towel, brush and comb, and tooth brush. An important building connected with the homes is the probationary ward. In this all children spend from ten days to a fortnight before being passed into the institution, the object being to ascertain whether they are free from infectious disease. Every attention to detail and convenience — a characteristic feature of the whole undertaking — is shown in respect to the infirmary and quarters of the superintendent (Mr. A. C. Wayne, late of the Marston Green Homes), and adjoining are well-appointed committee-rooms, offices, and spacious general store rooms and larder. A long macadam road or avenue, 30ft. wide, will run between the line of cottages, and in the centre, at a point opposite the superintendent's house, a fine imposing clock, 32ft. high (the gift of Mr. W. J. Adams, chairman of the Building Committee), is to be constructed. The grounds will be attractively laid out, small ornamental trees will skirt the avenue, and a terrace will be constructed at the rear of the boys' homes. The whole area is enclosed by high iron fencing, and in addition to this, along Union-road, a substantial privet hedge will be planted. The church is situated at the extreme end of the avenue, and is of very pretty design. It has a dimension of 60ft. by 24ft., and is provided with a transept, which will be daily used as a school for the infants. The substitution of coloured lead lights for plain glass windows has added materially to the artistic effect the interior, the two largest windows being presented by the architects and builders Messrs. Franklin, Cross and Nichols, and Messrs. W. Lee and Son respectively. The entrance at the south end of the site was distinguished a very ornate wrought-iron gateway. Just inside, at the left was the porter's house which was combined with a receiving block for new arrivals. 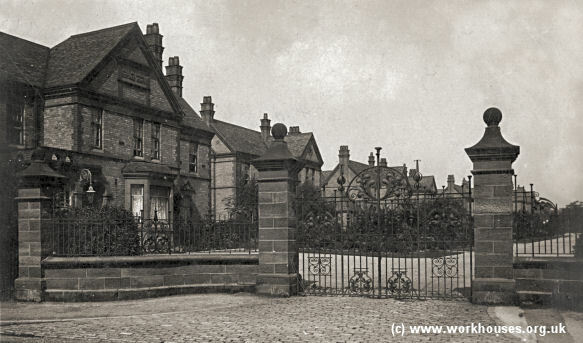 Aston Cottage Homes entrance and receiving home from south, c.1905. 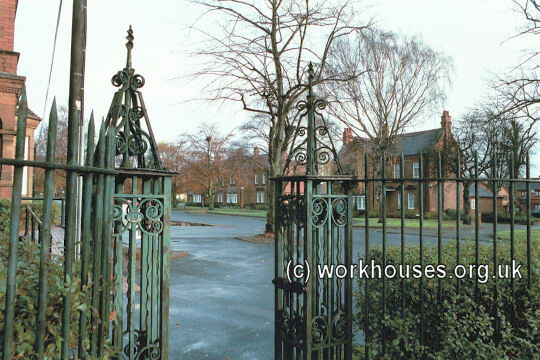 Aston Cottage Homes entrance and receiving home from south, 2000. Aston Cottage Homes entrance gateway from south, 2000. Aston Cottage Homes plaque, 2000. The main part of the site is a wide avenue running north-south with houses down both sides — girls occupying those to the west, and boys to the east. Two styles of house alternate along the length of the avenue, with the Superintendent's house standing half-way along the west side. A clock tower stands at the centre of the site. 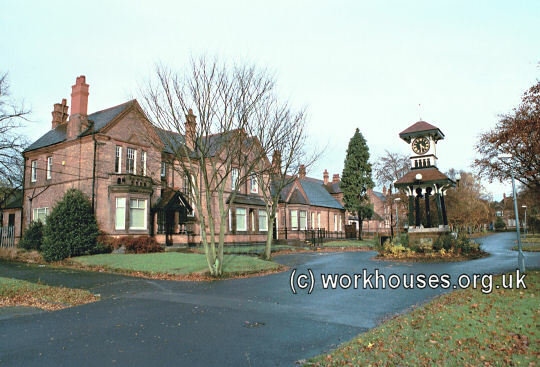 Aston Cottage Homes Superintendent's house and clock tower from south-east, 2000. At the north of the site were a school (later used as a chapel), infirmary and workshops. A swimming pool was constructed at the centre of the workshops blocks. 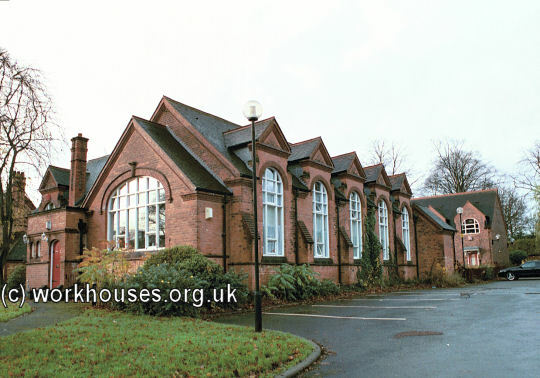 Aston Cottage Homes school/chapel from the south-east, 2000. 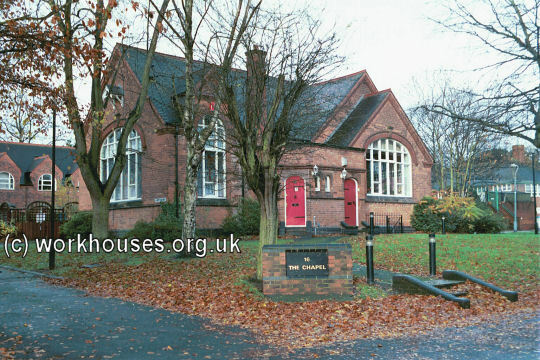 Aston Cottage Homes school/chapel from the south-west, 2000. 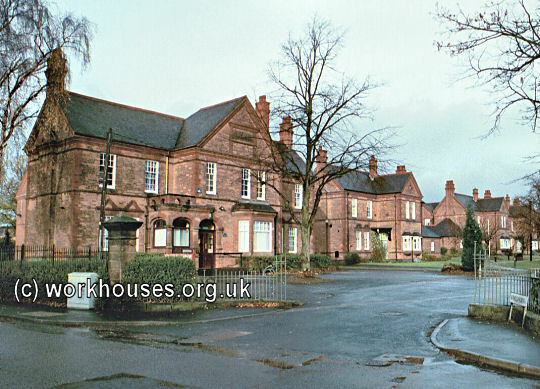 Aston Cottage Homes infirmary from the south-west, 2000. 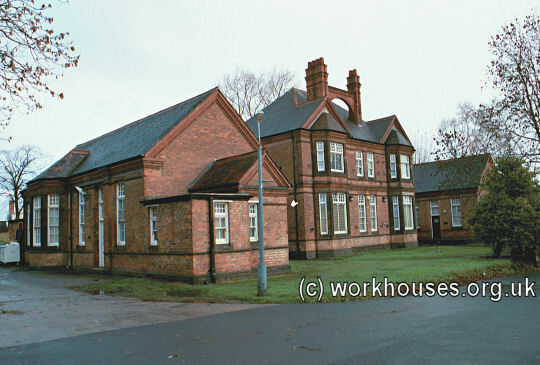 Aston Cottage Homes workshops from the south-west, 2000. Aston Cottage Homes - Glenedyth Girls' Home from the east, 2000. A new receiving or probationary home known as Southview was opened at the north-east of the site in 1925. It housed 16 boys and 16 girls. Aston Cottage Homes Southview Probationary Home from the south-west, 2000. 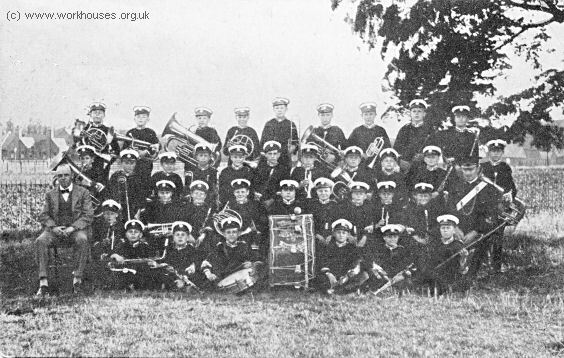 The homes had its own boys' "prize military band". 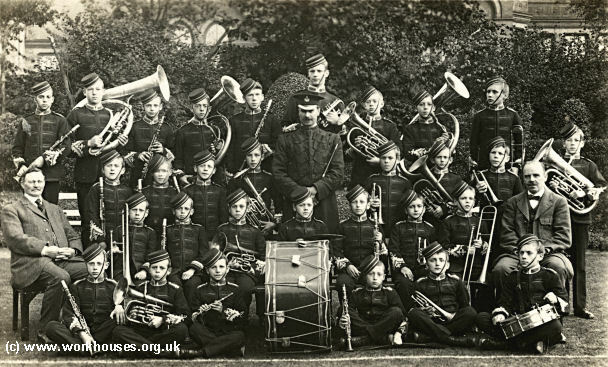 Some boys in the band went on to take up careers as military bandsmen. 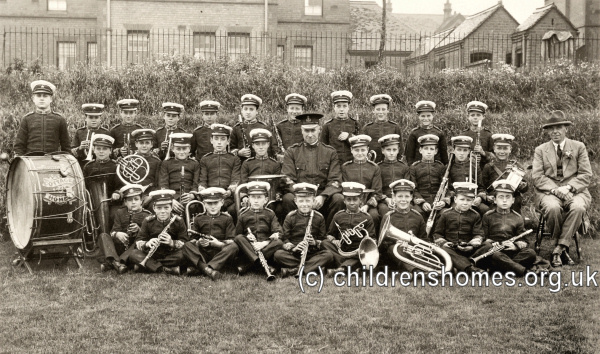 Aston Cottage Homes boys' band, date unknown. 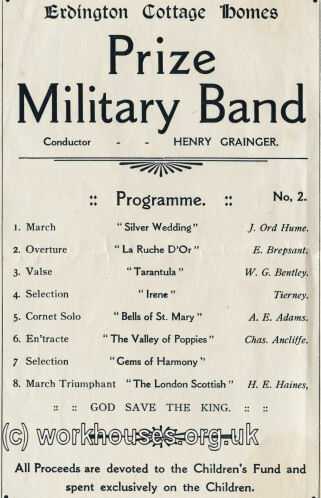 Aston Cottage Homes boys' band concert programme, date unknown. In the group picture below, the chairman of the Aston Board of Guardians is seated at the left and the superintendent of the homes, Mr Bryan, at the right. There were also occasional outings such as this trip to the seaside at Rhyl, North Wales, in about 1910. 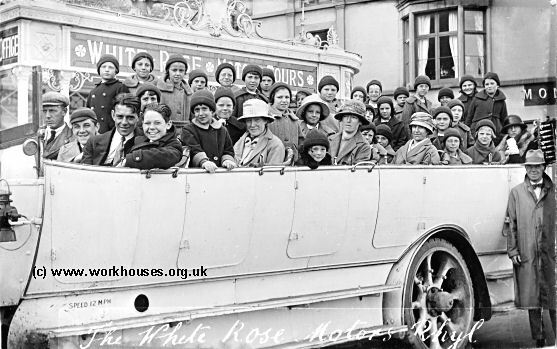 Aston homes outing to Rhyl, c.1910. After 1930, the homes were taken over by Birmingham City Council. A number of changes took place after the Second World War. Many of the homes became mixed, although some remained as boys-only. At the same time, there was a move to the individual homes being run by house-parents — normally a married couple — rather than by foster mothers as had previously been the case. The older children now attended local schools. Further developments took place in the 1960s, when there was a trend towards separate smaller homes rather than large developments such as Erdington. The site became known as The Gardens and each of the homes became much more autonomous. The cottage homes finally closed in 1984, with the children being placed in other council-run homes. Virtually all the buildings on the site survive and have now been converted to residential and office accommodation. 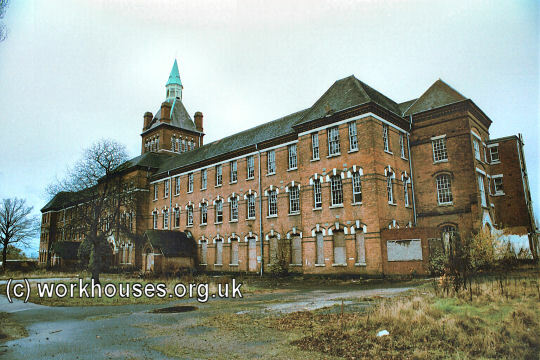 In 1907, the union acquired Witton Hall, four miles to the north of Birmingham and previously used as an Industrial School. It was used as a residence for up to 120 children of 'ins-and-out' — individuals who had frequent short stays in the workhouse. It later became a union home for the elderly and infirm. Birmingham Archives and Heritage Service, Library of Birmingham, Centenary Square, Broad Street, Birmingham B1 2ND. Holdings include: Guardians' minute books (1836-1912); Creed registers (early 1900s onwards); Various workhouse infirmary patient records (early 1900s to 1980s); Register of adopted children (1903-11); Register of deserted children (1897-1912); Cottage Home registers 1889-1924. Hinson, M (ed.) 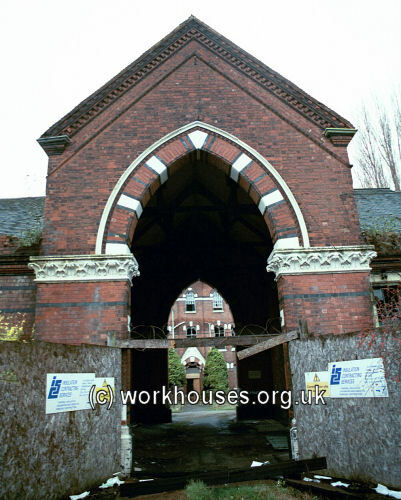 (2001) Highcroft from Workhouse to Modern Mental Health Service , Highcroft History Group.